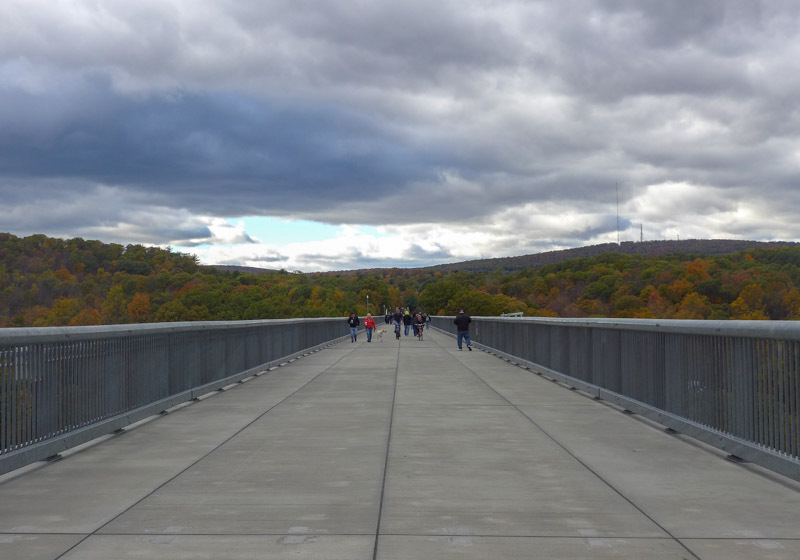 This is ‘Walkway Over The Hudson’ – the longest elevated footbridge in the world. And it’s right here in New York state. 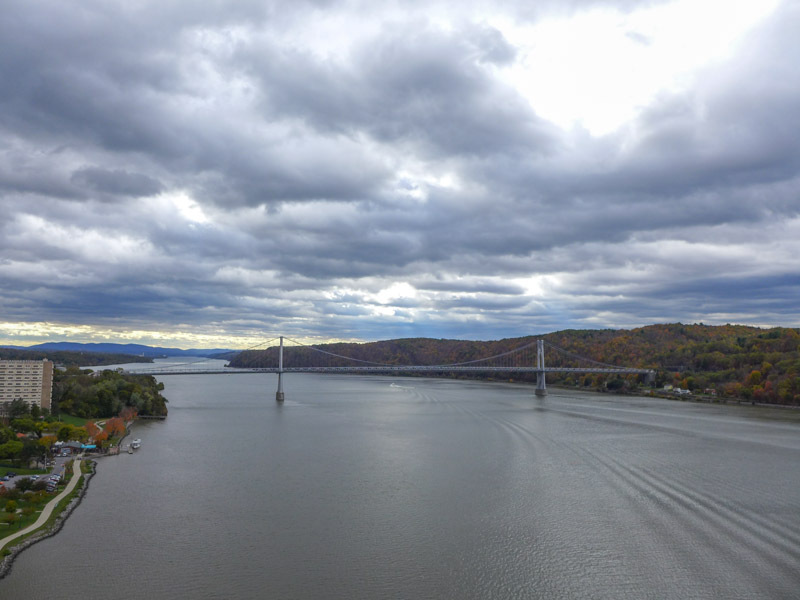 The bridge, also known as the Poughkeepsie Bridge, is 1.28 miles long (6,767 feet) and stretches over the Hudson River between Poughkeepsie and Highland (which is about 90 miles north of the city). The walkway has similarities with our beloved High Line here in NYC, I thought. 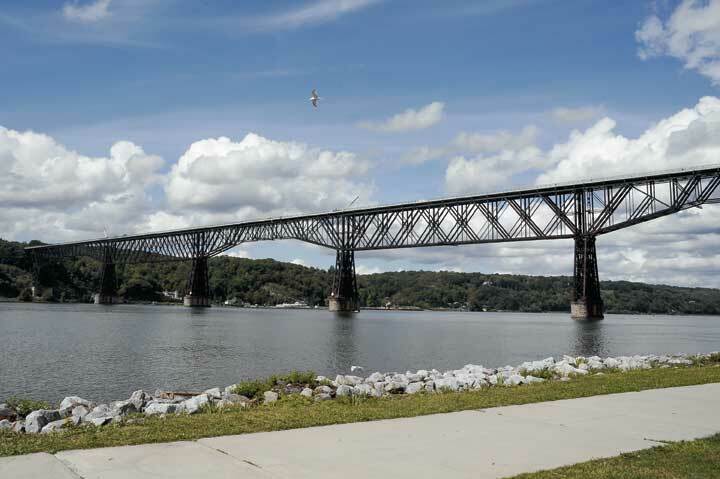 The bridge, which was completed in 1889, was once a train track that eventually went out of service (in 1974) and fell into disrepair. 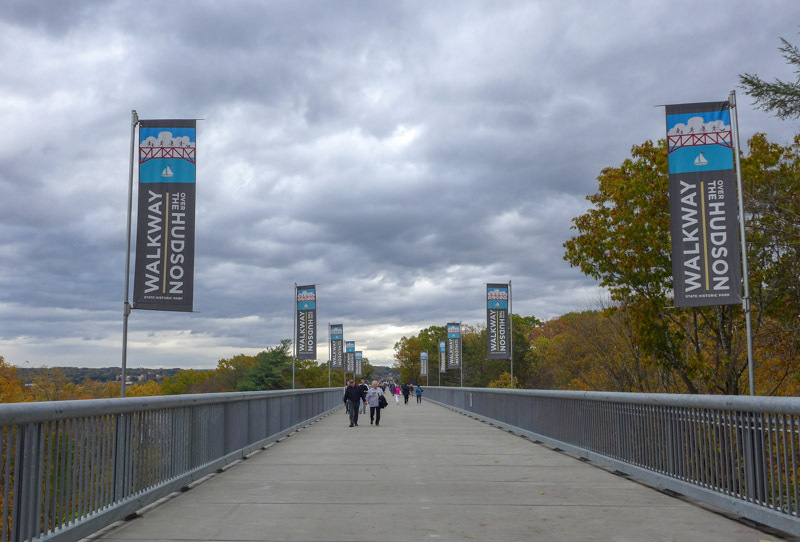 But in 1998, it was deeded to a non-profit organization and in 2010, it finally opened as a public park, which is now appreciated by people from all over the world. 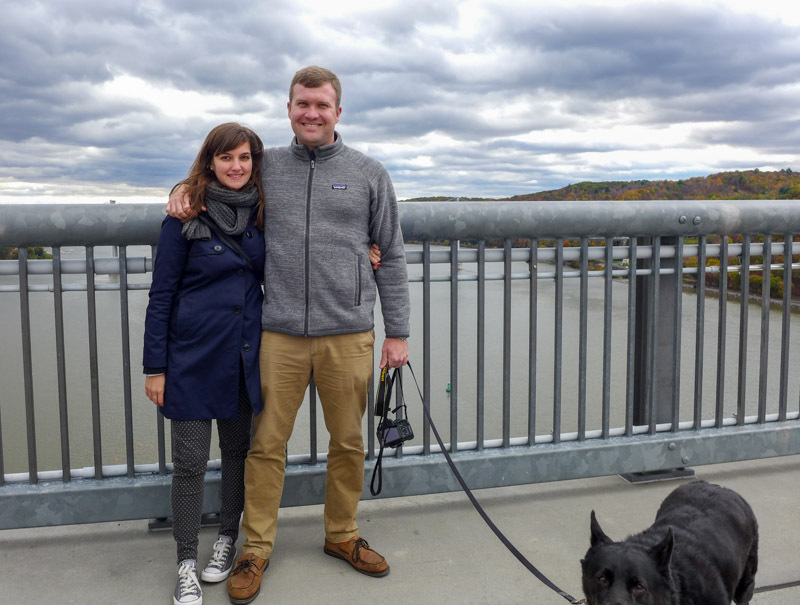 The bridge is huge and really allows you to feel the sheer space enjoyed by towns north of the city. We visited as the leaves were changing colors – but I bet it’s equally a sight to behold during the summer or as snow covers the ground. 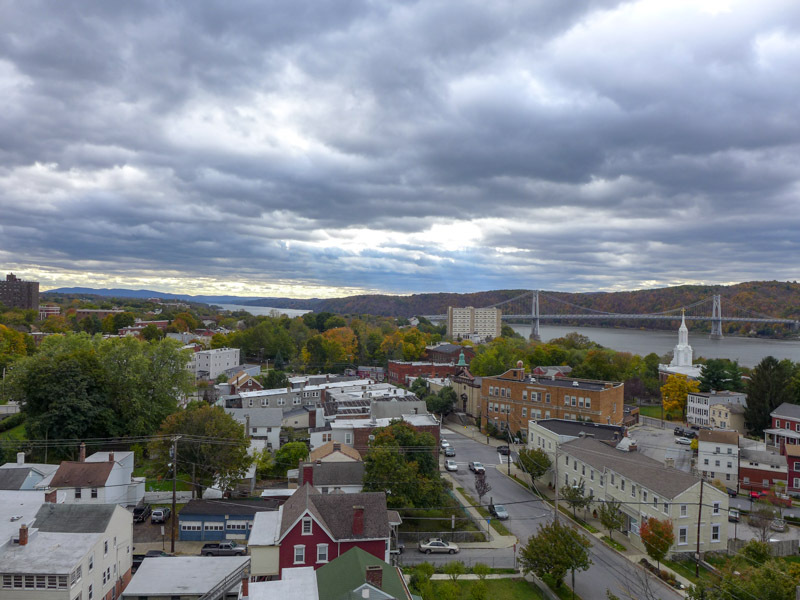 Plus it leads you right up to Poughkeepsie. Doesn’t it look like a toy town? 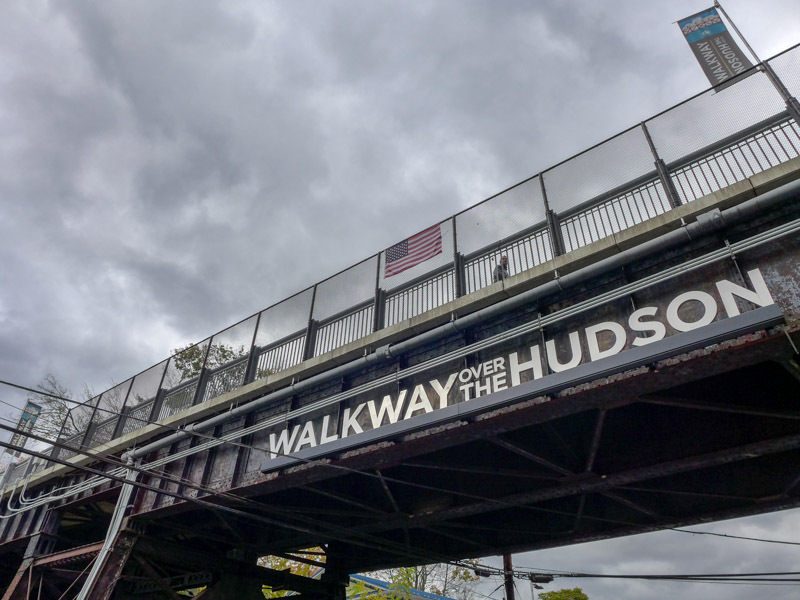 The Walkway over the Hudson gives you a great, lengthy stroll and some beautiful views – and allowed us all to breathe in plenty of that fresh upstate air before we headed back to the city. 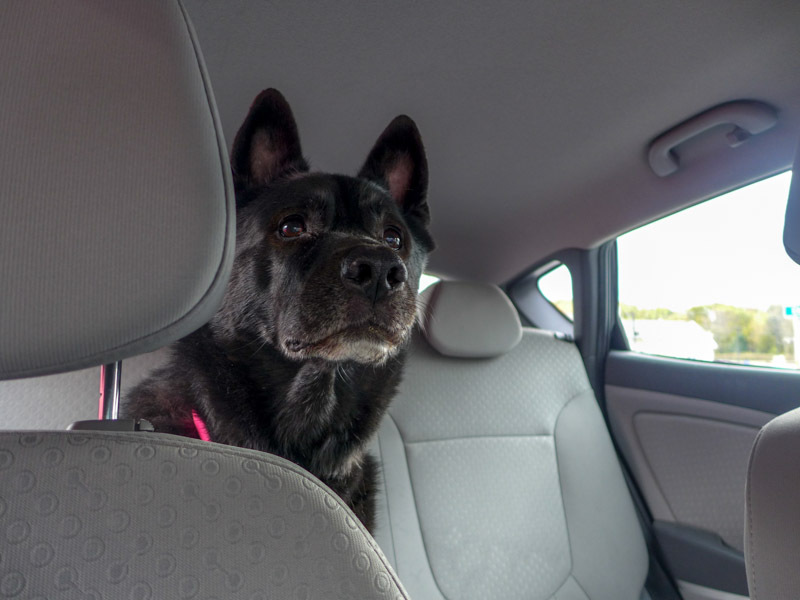 For more information on how to get there and on-site amenities etc, check out the website here. 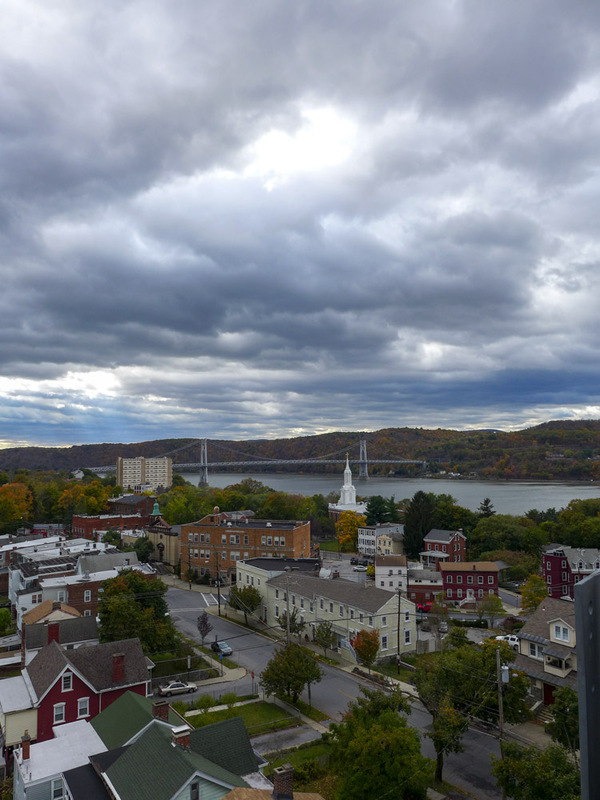 You can cross the bridge from either the Highland or the Poughkeepsie side – there’s parking at both, but you don’t pay on the Highland side! My dad was talking about this bridge recently! 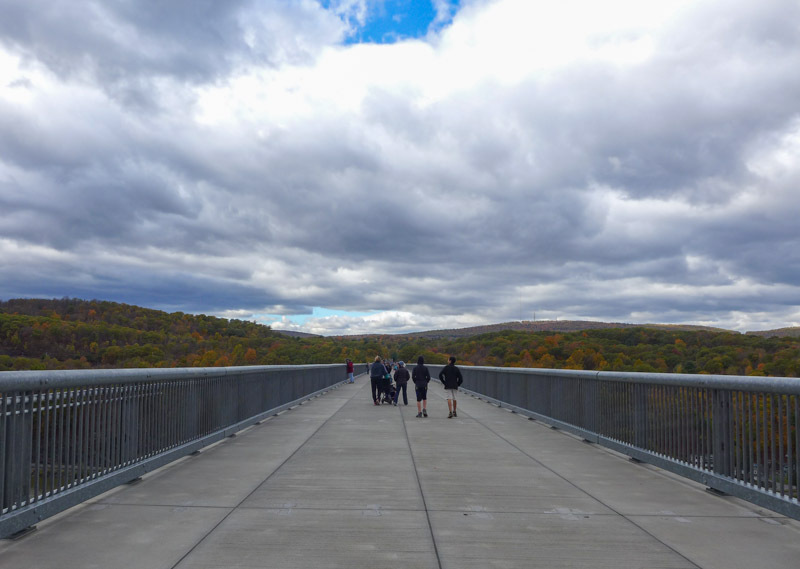 It looks like such a gorgeous walk, and I’ve never been to Poughkeepsie… Thanks for posting about it! No problem! It’s definitely a good stop if you’re up there or traveling into the city. This is incredible! 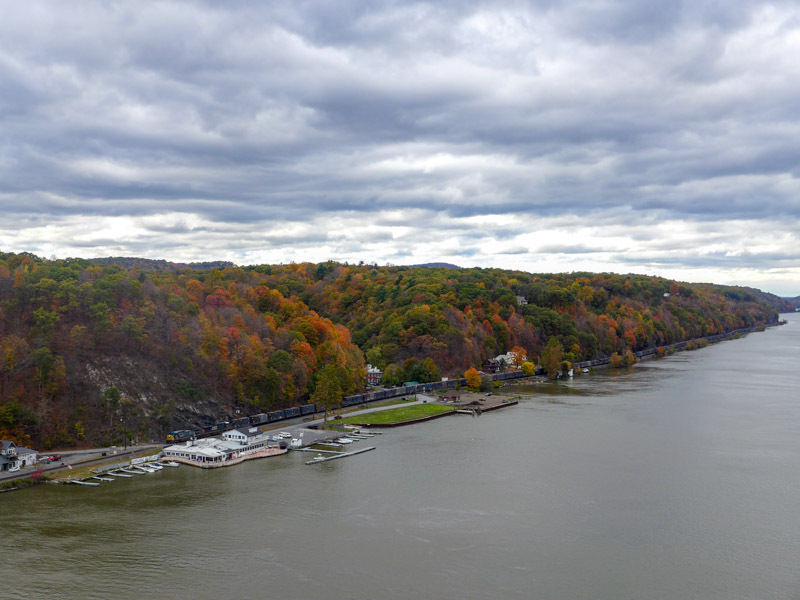 The views from the walk are stunning, and love that it’s so close to the city! 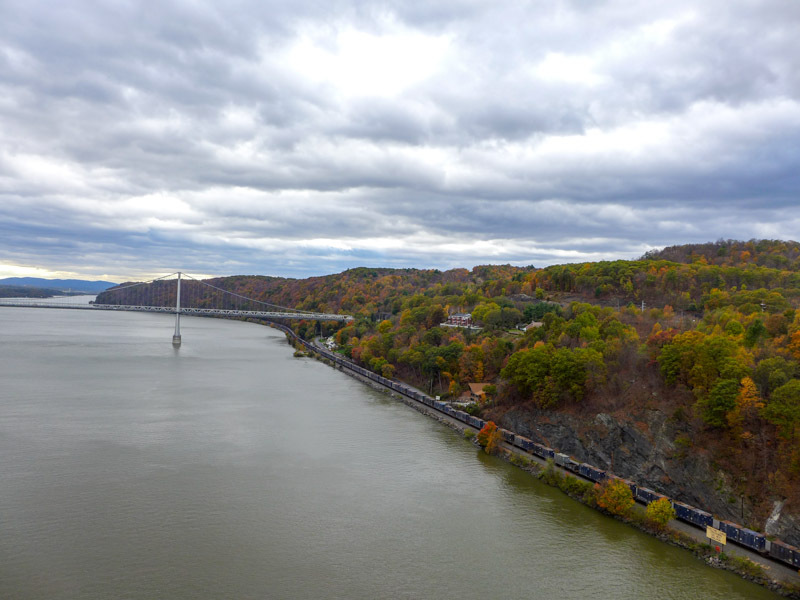 The bridges accepted length is 6,768 feet long.Go to the Walway Over The Hudson website to verify.Thanks.